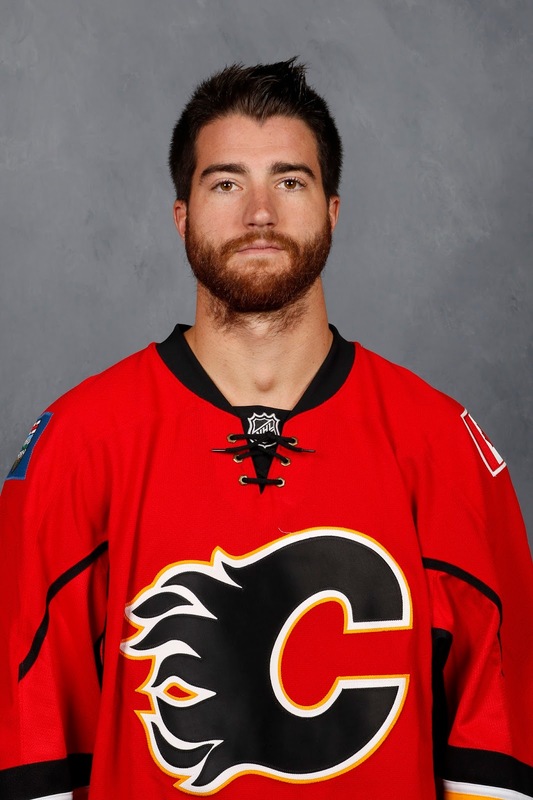 TJ Brodie must have felt like he was away on a boys weekend because wow, did he ever live it up. Spending most of his time cooped up with the ol' ball and chain that has become his slow-footed, five-on-five defence partner Dennis Wideman, Brodie has not looked like himself all season. Where's the jump? Where's the energy? Where's that exciting, dynamic player that Flames fans got so used to watching the last few years when he was paired with captain Mark Giordano? Instead, he has looked like a guy stuck in an unhappy marriage. Forget 200-foot player, the Brodie that was starting to show up on Norris Trophy ballots had become one of the league's best 400-foot players. Using his blinding speed, he'd be constantly racing up ice to join the rush -- and frequently leading that rush -- but when the puck turned over, back he roared like a Maserati, often the first guy back. But against the New Jersey Devils on Friday night, finally, we saw shades of the old No. 7. Interestingly enough, three of Brodie's four assists in Calgary's 4-3 overtime win -- his first career four-point game -- came while Wideman was on the bench, a long way away. Like getting out on his own on a Friday night with the buddies, first came a Calgary power play late in the first period. At the door to pick him up was Johnny Gaudreau, Sean Monahan, Troy Brouwer and Kris Versteeg. Hey boys, let's do this. The goal -- coming just seconds after the man advantage expired -- was the culmination of a long stretch of prolonged pressure in the Devils end. Brodie races over to the right point (yes, right point, another small detail not to be overlooked) to keep the puck in the zone. He then zips a pass cross-ice to Gaudreau, who feeds red-hot Monahan in the slot and clank --- off the post and in -- goes his ninth goal in his last 10 games. To start the second period, Calgary went back to the power play for a second time. It was like the same car pulled up in front of the house only now it was Saturday night. Ding-dong. Mostly the same guys at the door, except this time it was Alex Chiasson instead of Brouwer. Brodie grabs his jacket -- there are fist-bumps and smiles all-round -- and off he goes with a click of his heels. Seconds later, after Gaudreau loses the puck to Travis Zajac on the zone entry, Brodie neatly intercepts Zajac's clearing attempt and quickly sends a pass cross-ice to Versteeg, who skates to the top of the face-off circle and rips a slap shot past Cory Schneider, screened on the play by Chiasson. Just like that, Flames led 2-0 with Brodie -- in bachelor mode as the only D on the ice -- a big reason why. The one goal that did come with Wideman on the ice as well was the tying goal 7:22 into the third period after the Devils had scored three straight in the second period to take the lead. This one was vintage Brodie. Getting the puck below the goal line in his own zone, he makes a short outlet pass to Micheal Ferland and then hit the accelerator. As Matt Stajan leads the Flames up ice, Brodie's arms are pumping as he's coming too. No way is he being left behind. 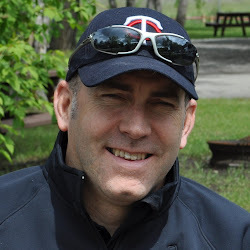 He hits the blueline in full stride, gets the puck from Stajan, swings wide to the right (again, note what side of the ice he was on) and sends a perfect saucer pass into the slot that Stajan neatly steers inside the post. Finally came overtime and if power plays are like nights out, five minutes of 3-on-3 overtime must seem like an entire weekend away for Brodie. This time hanging out with Mikael Backlund and Michael Frolik, talk about a good time. The only way to truly appreciate the game winner is to watch it for yourself. Pure artistry between Backlund and Brodie. This morning, Brodie will wake up somewhere in New York City and he should be smiling. After all, he had himself one hell of a night. Heck, maybe there's even a tiger in the bathroom. Sometimes a guy just has to cut loose. Which brings us back to his current marriage. Is it really working? Let's face it, these have been difficult times lately for Wideman. Really difficult. On the first Devils goal, Wideman loses his man along the end boards and while he's below the goal line looking for the puck, Adam Henrique, nearby, has it and is wrapping it inside the goal post. It was the same Brodie-Wideman combination on the ice for the power play goal that tied it 2-2. The Devils took a 3-2 lead when Wideman intentionally shoves the Flames net off the moorings and is given a delay of game penalty and New Jersey scores on the ensuing power play. And remember, this comes two nights after Wideman had maybe his worst game of the season on Wednesday night against Minnesota. One can't help but wonder how long the Brodie-Wideman union will last. Heck, it looked like it might have been over Friday when at morning skate, Brett Kulak was spotted rotating with Wideman in that spot alongside Brodie. Of course, the bonus you would get if that ever happened was Brodie shifting back to his normal right side. He shoots left, but he's clearly more comfortable on the right side where he's spent most of his career. But in the end, Kulak was a scratch and coach Glen Gulutzan, certainly a stubborn lad, stuck with that same duo one more time. With the team on a three-game winning streak now and just two games left until their CBA-mandated five-day break, I wouldn't expect anything different the next two games either. But beyond that, surely it has to be something the coach is considering because the Friday night version of Brodie, that guy helps you win hockey games. A rejuvenated No. 7 will make a world of difference in Calgary's chase for a playoff spot. Maybe it's time to pair him with a young guy that can skate like Kulak. Perhaps that would free Brodie mentally knowing that Kulak -- unlike the other guy -- at least has the wheels to quickly recover and get back if Brodie gets caught up ice. 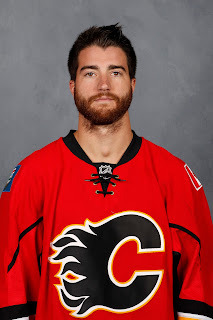 Maybe it's Deryk Engelland that gets a turn with Brodie in the top four. Never spectacular but always steady, Engelland has been consistent for this team all season and at this point, he's more fleet than Wideman. Plus, Brodie and Engelland do have history together as that was the combo that former coach Bob Hartley turned to for the final two months of 2014-15 when Giordano got hurt -- and in that elevated role, I thought Engelland handled it just fine and helped get Calgary into the post-season. 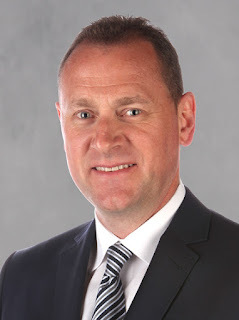 Maybe general manager Brad Treliving can find a defenceman via trade that he can bring in for the final push. Due to the looming expansion draft, don't expect a high profile piece incoming because Calgary can only protect three defencemen but is there a pending UFA that can be had for cheap that would be an upgrade and could partner with Brodie? You have to think it's something being looked at. Michael Stone in Arizona, Johnny Oduya in Dallas, Cody Franson in Buffalo, Kyle Quincey in New Jersey, Ron Hainsey in Carolina. That's just a sampling of the pending free agent defencemen that might be available. The Flames salary cap situation will make any transaction difficult but you never know. One way or another, two priorities for the Flames should be one, limiting Wideman's ice. It sure seems to me like the game has passed him by. I thought he has been OK for parts of the season, but lately it hasn't been pretty. Two, they need get Brodie on the ice more. Maybe that doesn't mean a change in his actual ice time as he has been playing a lot, but let's just say they need that version of Brodie on the ice a lot more. Because my goodness, Friday was a reminder of just how good he is. That's pretty much the highest praise one could ever give me. Accomplishing those two things is pretty much what I set out to do every time I sit down to write. Thank you! It blows my mind why they have not done anything about the VERY obvious situations we all see, all season long. Either there is no trades out there or they would rather see us falter than overpay someone to be an AHL player. Wideman was bad last year, this season it's ridiculous. You probably know better than the average fan, is there really no room get rid of some of our extra baggage?